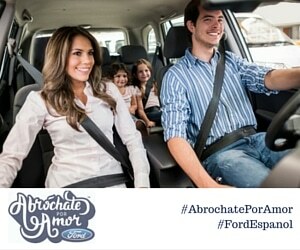 Disclaimer: Los Tweens is a proud Ford ambassador and receives compensation on reviews, interviews and campaigns. However, all opinions expressed are my own. We’re thrilled to announce that we have partnered with Ford Motor Company to bring awareness to driving safety around schools. Through grants for two Miami-Dade schools, an informative social media campaign, an online-giveaway allowing you to nominate your child’s school and more, we’re hoping to educate drivers and make schools more safe for everyone. My tweens’ school principal has been complaining about safety issues during school drop-off and pick-up. Her problem isn’t that the procedures in place are ineffective, it’s that parents don’t follow them. Parents are using cell phone while driving on-campus, turning on their cars when children are still walking through the school yard and disobeying the student safety patrols. Actually, she says that not only do some people disregard student safety patrols they also go as far as to curse, yell and flip them off. From 2009-2013, there were 1,456 crashes involving 1,664 Miami-Dade pedestrians ages 0-17 years and 37 children were killed. Although the injuries in Miami-Dade have decreased, it is still one of the leading causes of injury in this group. Because of their size, it’s difficult for children to see motorists or for motorists to see them. A child’s peripheral vision is about one-third narrower than an adults. It takes children longer to see a motorist approaching them from the right or left. Children have a greater difficulty judging a car’s speed and distance. They also believe that if they can see the motorist, the motorist can see them. Avoid loading or unloading children at locations across the street from the school. This forces youngsters to unnecessarily cross-busy streets—often mid-block rather than at a crosswalk. Please be kind to school crossing guards. These guards provide countless hours helping our children cross-busy streets as they arrive and depart from school. Crossing guards often encounter hostile attitudes from individuals who are more concerned with their own personal agendas than the safety of school children. Avoid using a cell phone in and around school zones. If you are texting, talking or making a call, it can affect your ability to react quickly. Again, children’s actions can be unpredictable. Also many drivers miss the school zone speed limit signs and signals due to the cell phone distraction. When a school bus stops you must stop. Never pass a school bus that is loading or unloading children. Passing a stopped school bus is a four-point infraction and is very dangerous. Do you follow all of these rules? Have you been slacking on a few? I know when I am late for drop-off or pick-up I have to remind myself to slow down. The consequences of being late are nothing compared to a child’s safety. All parents and all drivers sometimes need a reindeer to drive safe when they are around schools so we’re giving you a chance to bring the campaign to your school. Here’s how you can help your neighborhood drive safe and there’s a little bonus for you! 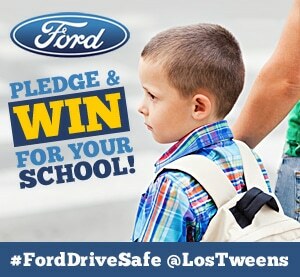 What: Win $100 grant for your school to purchase safety equipment plus Ford School Safety Zone banner by entering the #FordDriveSafe Giveaway and a $50 Target gift card for yourself. How to Enter: Leave a comment below sharing the school you’d like to nominate AND what which safety tip you think drivers most often forget. Be sure to enter your information into the Rafflecopter widget and check for additional entry options! 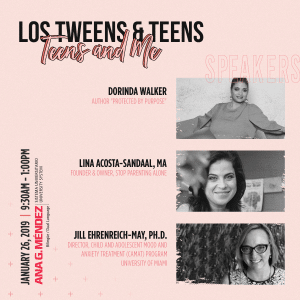 This entry was posted in Ideas, Parenting Teens, Raising Tweens, Teaching & Education Tips, Teen Driving and tagged driving, education, Ford, safety, school. Bookmark the permalink. Tip:Avoid loading or unloading children at locations across the street from the school. This forces youngsters to unnecessarily cross-busy streets—often mid-block rather than at a crosswalk. Buses ALWAYS has the right of way. Some people forget to slow all the way down to 20 mph in school zones. Turning headlights on when it is raining. Lebanon High School in NH — and I think one thing that most drivers neglect to do is to enter the *left* lane when turning left from a one-lane to a two-lane road. I see that happening all the time! Do not speed in a school zone and watch for little ones. They have a tendency to not look where they are going and will step right out in front of you. Thank you! I feel that they forget about double parking. No texting and driving in school zone (or being on the phone period) is forgotten most times. West High School In Columbus Ohio. I Feel Drivers Often Forget To Turn Phones Off And Not Use Them When Driving. My tip: Be alert! Pay attention to traffic at all times. Drivers forget to use turn signals before turning. Coquille High School. I think a lot of drivers forget the basic rule. Drive at the right speed for the right situation. Please use your turn signals always! Forgetting to use a turn signal! Avoid using a cell phone in and around school zones. I see a lot of drivers on their phone when they are driving near the school. Danville Neel Elementary School; Danville, AL The use of cell phones can definitely distract people in and around school zones. My school is Wood End Elementary School in Reading, MA. I think people forget about tip 4- Avoid loading or unloading children at locations across the street from the school. Edgemont Elementary Belleville MI, and I think the number one tip people forget is using the cell phones. Tip: stay off cellphone when in school zones. I still see that happening. Drivers often forget that tailgating leads to accidents.